History teaches us to learn not only about the past but valuable lessons for the present too. As the philosopher George Santayana said: “Those who do not learn from history are condemned to repeat it”. At Deer Park, History pupils are urged to question things they read and to investigate the impact of the provenance on the validity and utility of an interpretation. They are asked to judge the significance and impact of issues, events and individuals before reaching a well explained conclusion to their thoughts. The skills which are developed in History lessons are of immense value beyond the classroom and have lifelong significance. Pupils are encouraged to be inquisitive, questioning and to explore the notion of “what if…?” Building learning power is central to all History lessons at Deer Park. Pupils are encouraged to reflect on their own learning, to work independently and to think not only about what they learn but how they learn too. Pupils have excellent opportunities to develop their historical knowledge and understanding, including their chronological understanding, as well as build key transferable skills across Key Stage 3. These key transferable skills include description, analysis, explanation and evaluation. We have designed the curriculum as a distinctive and highly imaginative experience which is underpinned by a clear and coherent rationale that is relevant and prepares them for further learning. The curriculum ensures that pupils understand key historical concepts such as continuity and change; significance; cause and consequence and similarity and difference. Our curriculum is enquiry based with pupils regularly having the opportunity to engage with complex and challenging questions. This promotes skills so that our pupils can confidently articulate the place history has in their own lives and in society so they have the best preparation for life in modern Britain. This in class curriculum is supported by a varied curriculum of home study where pupil choice is placed at the heart of all learning. 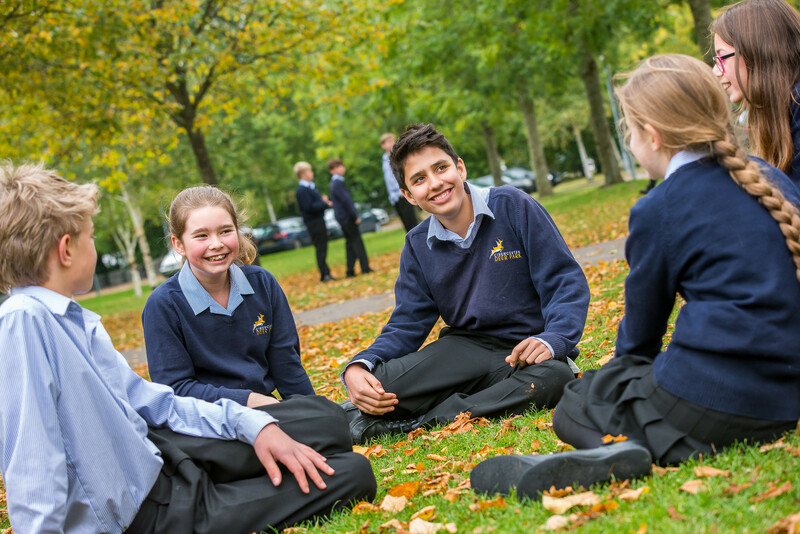 Our rigorous curriculum planning ensures that History makes an invaluable contribution to pupils’ social, moral, spiritual and cultural development. We have planned to ensure the progression described above by teaching the British, local and world history outlined below. We will combine overview and depth studies to help pupils understand both the long arc of development and the complexity of specific aspects of the content. These will be in the form of enquiries and stand alone studies, and will be undertaken throughout the Key Stage; helping promote literacy and numeracy skills through problem solving, researching, and communicating about the past. In Year 7 pupils will build their core historical skills and develop their chronological understanding of up to the date 1603AD. Pupils will learn about the development of Britain through a wider study of the past. Pupils will build their skills with some hands on History by investigating artefacts from both Roman Britain and the First World War. Pupils will be challenged to make and explain inferences as well as solve a crime. Throughout all of these modules there is focus on comparisons to the 21st century to allow pupils to effectively develop their understanding of key second order concepts such as continuity and change. In Year 8 will continue to develop their skill set and investigate Britain’s place in the wider world. Pupils will investigate the development of modern Britain and her place in a globalised world through a study of the period 1603-1912. A social study of Edwardian Britain. Pupils will consider the impact of these events on a short term, long term, local, national and international scale. They will evaluate to what extent these events have been a force for positive change. Pupils investigate a range of events from the 20th century and continue to build their chronological understanding of the last 2 millennia as well as their key skills. The Second World War and the Holocaust. When pupils have opted to take History at GCSE, they can embark on a varied and dynamic new course. The emphasis now is on using the skills developed throughout Key Stage 3 to produce excellent quality work both in class and at home which demonstrates pupils’ knowledge, understanding and skills at utilising evidence. They are encouraged to make well substantiated judgements based on the topics they have studied as well as considering the impact of key people, events and time periods. One British depth study including the historic environment. Part 1: The module begins with the life under Kaiser Wilhelm II in 1890. Pupils investigate the difficulties he faced in ruling Germany as well as the impact of WW1 and the Treaty of Versailles. Pupils then investigate life after his abdication in the Weimar Republic. They study the trials and tribulations of Germany’s first true democracy including the political and economic threats of the period 1919-1923. The focus then turns to the age of recovery and the ‘Golden Years’ of Weimar Germany. Part 2: The module investigates the impact of the 1929 Great Depression and the rising support for the Nazis. Pupils will then study the failure of Weimar democracy and the establishment of Hitler’s dictatorship. Pupils will examine the elimination of opposition and the Nazification of the German state. Part 3: Pupils will study the impact of the Nazis on ordinary people including young people and women. They will also study Nazi methods of control and propaganda as well as the persecution of minorities and opposition to the Nazi regime. Finally, pupils will look at the impact of the Second World War on the German populace. Part 1: Pupils will investigate the impact of the ancient societies on medieval medicine as well as the roles of religion (both Christianity and Islam) in both helping and hindering medical developments. The Black Death will be used as a study of public health in towns and monasteries before pupils investigate barber surgeons and their ideas and techniques. Part 2: The Renaissance becomes the key focus as pupils examine the beginnings of change. Key figures such as Vesalius, Paré and Harvey become well known to the pupils as do the revolutionary John Hunter and Edward Jenner. Impact is a big focus of the module and pupils will consider how these key figures have affected Britain today. Part 3: The medical revolution of the 19th century becomes our focus as germ theory, anaesthetics and antiseptics are all developed. Public health and the improvements come under particular scrutiny as the pupils consider to what extent the health of the people improved. Part 4: Our focus then turns to the 20th century as penicillin, both World Wars and public health are all investigated. The creation of the NHS and the issues of health care in the 21st century are also covered as pupils consider the impact of lifestyle and politics on Britain, Health and the People. Part 1: This module begins with the end of the Second World War and key conferences of the Grand Alliance. Pupils will have to investigate the impact of a range of events on increasing tension such as the development of nuclear weapons, the Iron Curtain and the evolution of East-West rivalry, Soviet expansion in East Europe and the US response. Part 2: The focus of the pupils will then turn to Asia and the communist revolution in China. Pupils will then consider the impact of the Korean and Vietnam Wars on relations as well as the development of the arms race. Attention will turn to NATO and the Warsaw Pact and the space race. Finally, our focus will turn to Hungry and the U2 crisis before reflecting on the impact of this decade on relations. Part 3: Our attention returns to the Western hemisphere for our final section of this module as the Berlin Wall and the Cold War in Cuba become our focus. Finally, pupils look at the easing of relations under Brezhnev and Nixon as well as the SALT treaties. Part 1: The module begins by investigating power and problems in Elizabethan England including the issues of religion and of being a female ruler. Pupils will also study the rebellions faced by Elizabeth I including the Northern Rebellion and Essex’s Rebellion and consider to what extent Elizabeth’s rule was threatened. Part 2: Our study then takes a social turn as pupils investigate fashion, housing, theatre, exploration and poverty during the time period. Famous figures such as Drake and Raleigh feature, as well as the Globe Theatre and the magnificent Hardwick Hall. Pupils will consider to what extent these aspects of social History represent the time period and the so called ‘Golden Age’. Part 3: The focus turns to trouble at home and abroad with the religious threats of the Catholics and the Puritans dominating. Pupils consider the impact of Elizabeth’s religious settlement and its’ success in appeasing the religious groups that were attempting to undermine her reign. Mary Queen of Scots and the threat she poses is a key moment in the study as is the Spanish Armada and the wider conflict with Spain. Part 4: The Historic environment, worth 10% of the overall course, focuses on a specific site/event in depth. The site/event changes annually but previous sites include Hardwick Hall, the Globe Theatre, the Spanish Armada and Kenilworth Castle. Pupils will investigate to what extent a certain site reflects the period of study and its’ significance in Elizabethan England.